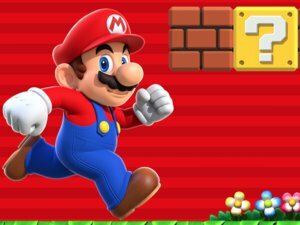 Super Mario Run lets you play one-handed against other players around the world. One of the first big announcements to come out of Apple's September product reveal was the news that Nintendo will release its first smartphone game on the iPhone. 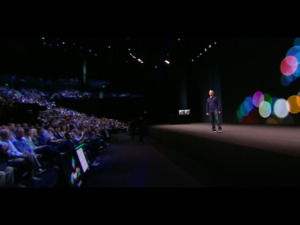 Apple CEO Tim Cook announced the game, Super Mario Run, before being joined by Mario creator Shigeru Miyamoto who provided details about the game. The gameplay has Mario always running to the right and jumping when the screen is pressed. A longer press causes Mario to jump higher. Miyamoto said the game can easily be played with one hand, allowing gameplay while simultaneously riding the subway, say, or eating a hamburger. 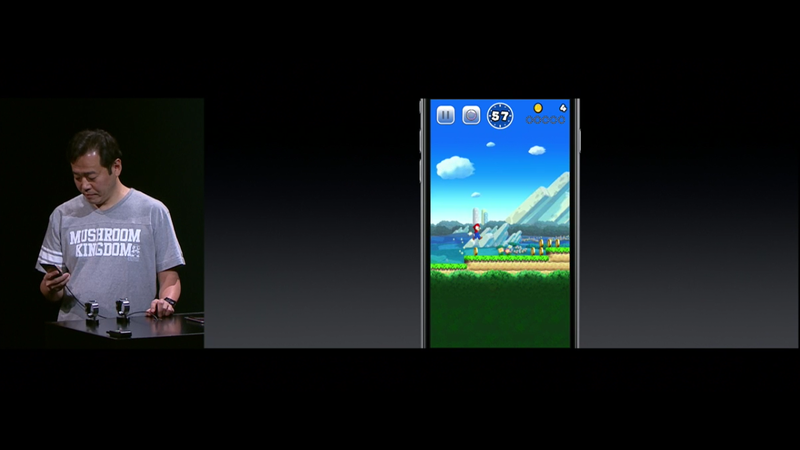 Mario will make his first official appearance on the iPhone. A multiplayer mode called “Toad Rally” lets you play against others in a time trial mode, where the other player is represented by a ghosted image while you collect coins and jump over enemy turtles. Winning in the Toad Rally allows you to collect “toad people,” which you can use to customize your mushroom kingdom. Why this matters: Nintendo has never made a smartphone game before, so its selection of iOS for this debut gives Apple’s app store a significant advantage, at least while the game remains exclusive to that platform. 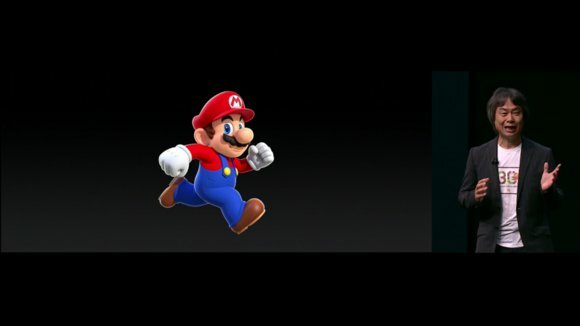 Miyamoto said the game is timed for the public release of iOS 10, which the will also see the release of virtual Mario stickers.